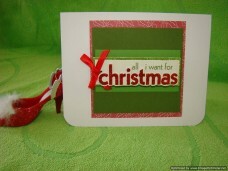 All I want for Christmas 3D embellishment enhances the green card stock paper centered on this greeting card. 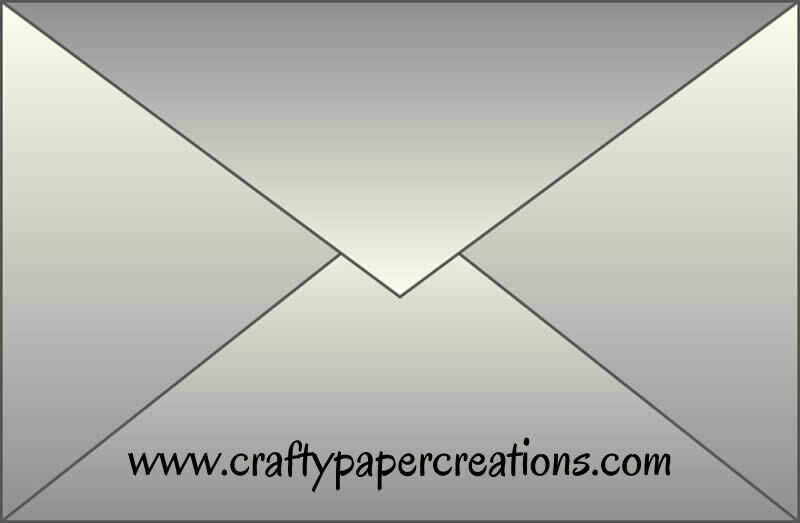 The rounded corner punches add uniqueness. Tell someone that you’re not asking for anything for Christmas other than them to be happy. Christmas isn’t a season, it’s a feeling. Express your feelings to those near and far. 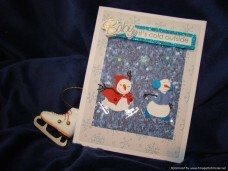 This whimsical greeting card has a background of midnight blue scrapbook paper with snowflakes falling and 2 playful snowmen stickers on ice skates. 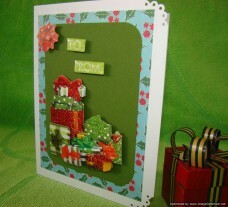 Baby It’s Cold Outside is the 3D embellishment on the vertically designed greeting card. 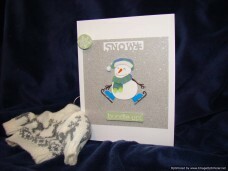 The ice skating snowman sticker atop sparkle grey cardstock paper with a 3D bundle up embellishment and matching snowflake. 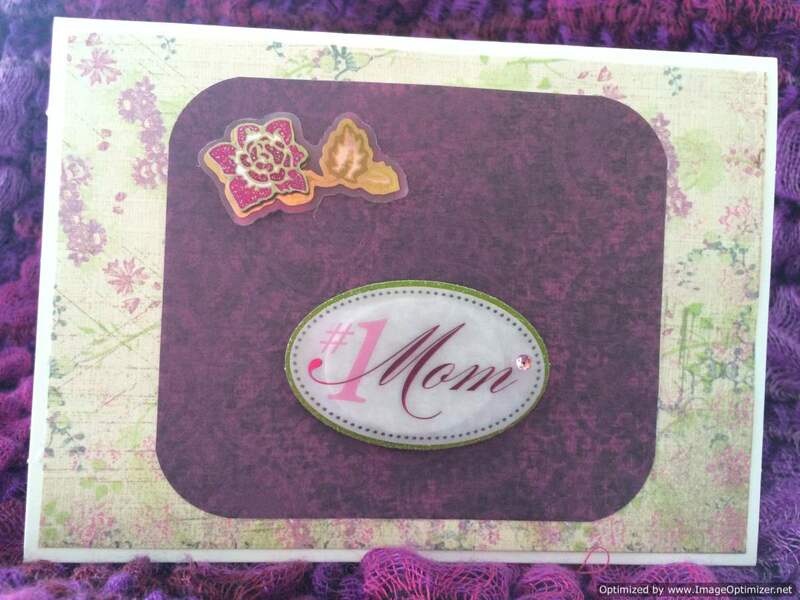 The Snow hole punch accents the unique handmade card. 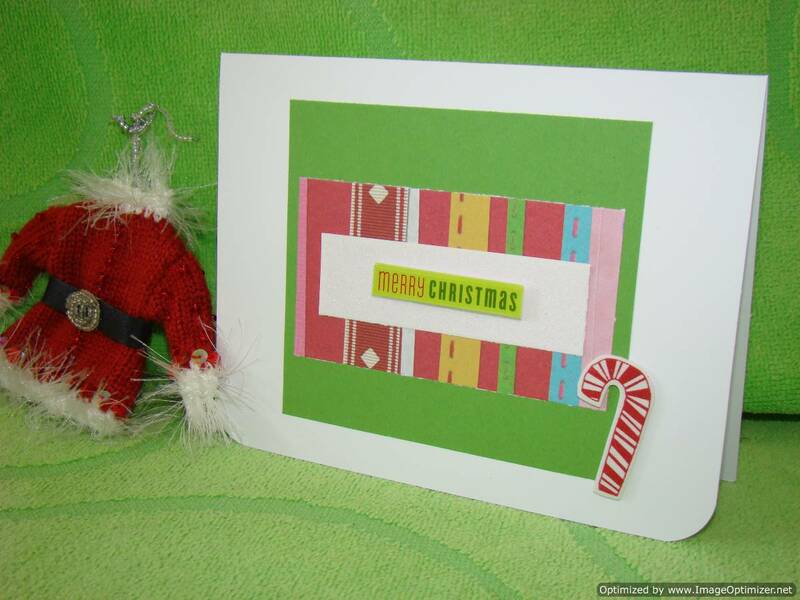 This candy and cookie themed card says enjoy Christmas eve with sweets. 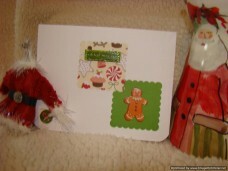 The gingerbread cardboard sticker is placed inside a scalloped cut out. 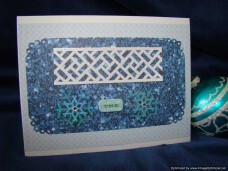 Cool blue is in the snowflake background with sparkling glacier blue scrapbook paper. 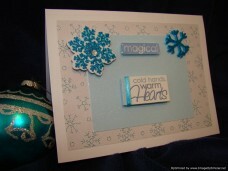 The embellishments; 3D Snowflakes, Magical, & Cold Hands, Warm Hearts. 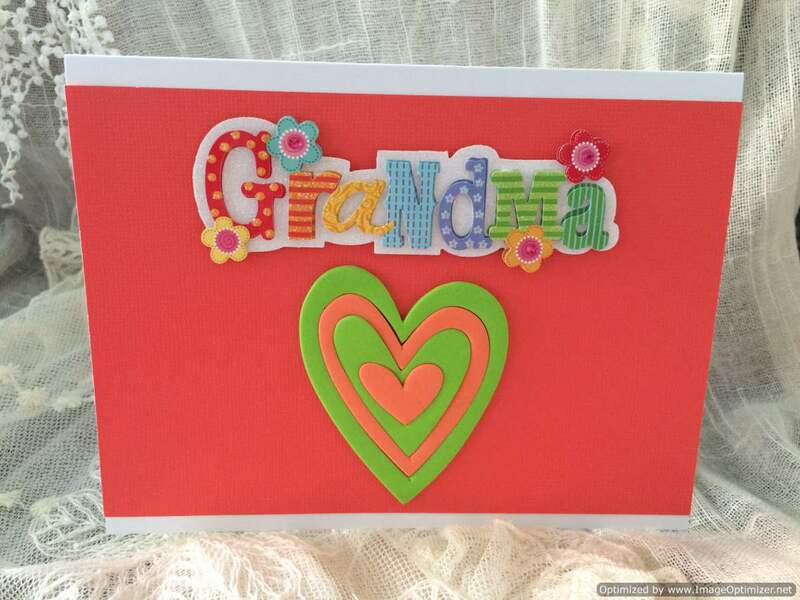 Brilliant sparkly blue background paper with cut out corners accents the creative design. 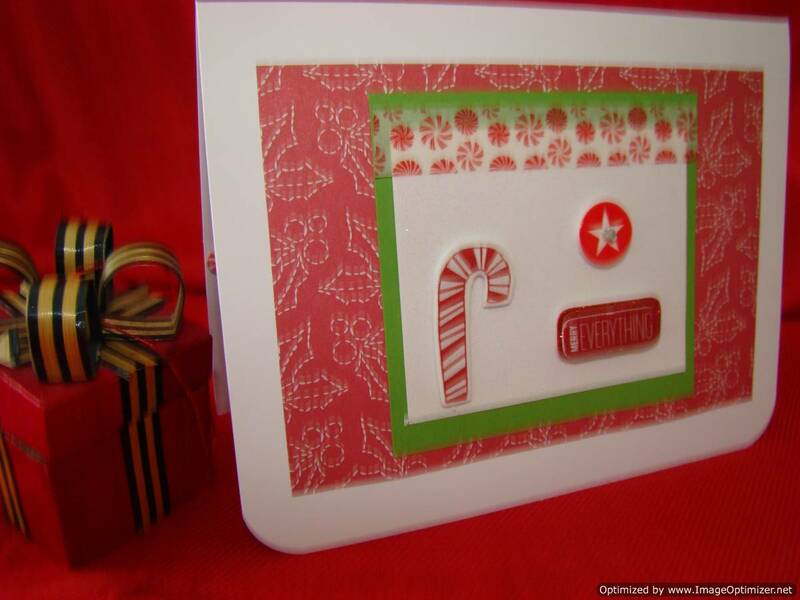 Deck the halls 3D embellishment and the snow flake stickers complete the hand created card. Christmas is the holiday for kindly the fire of hospitality, and charity in your heart. Express it out loud by sending this greeting card. 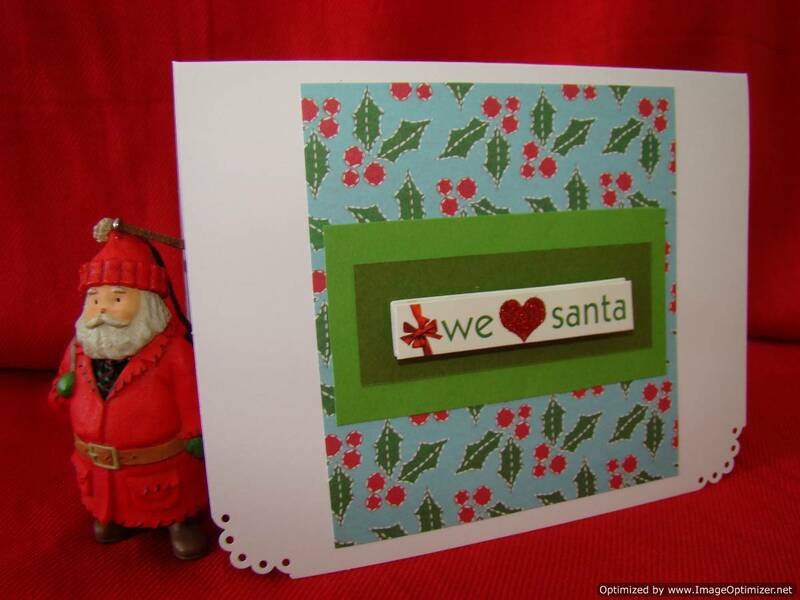 Green background paper and red holly paper create this unique card. 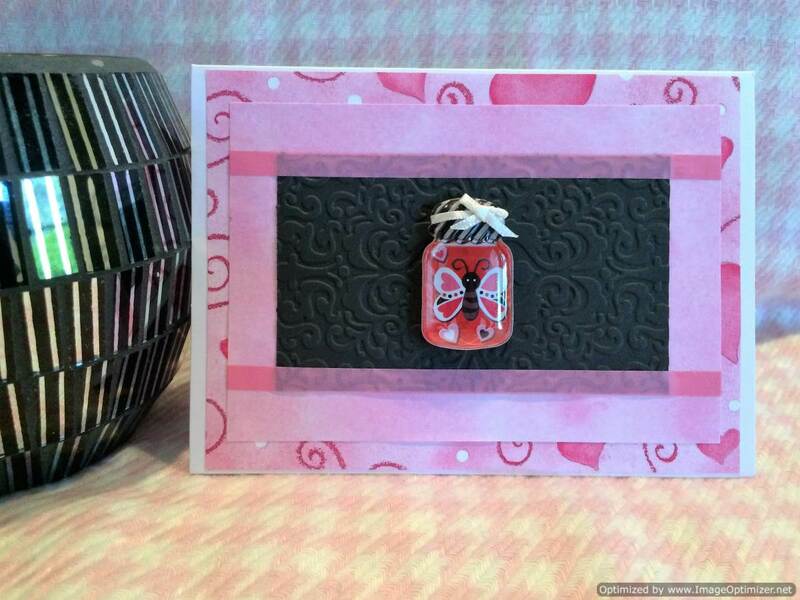 The 3 dimensional snowflake and the Do You Believe sticker is the main décor. 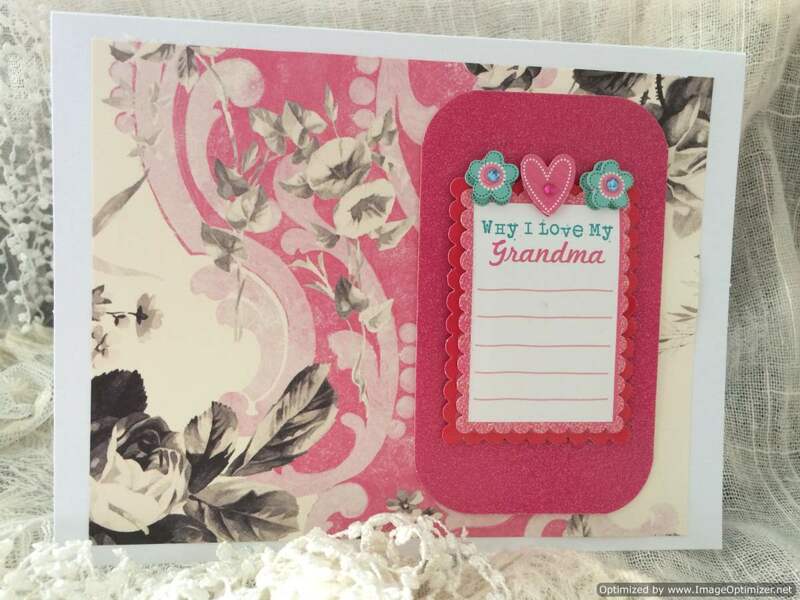 Rounded corners add a creative appearance. The leaf green card stock paper is accented with a decorative Christmas gift display all on a background of Christmas holly paper. 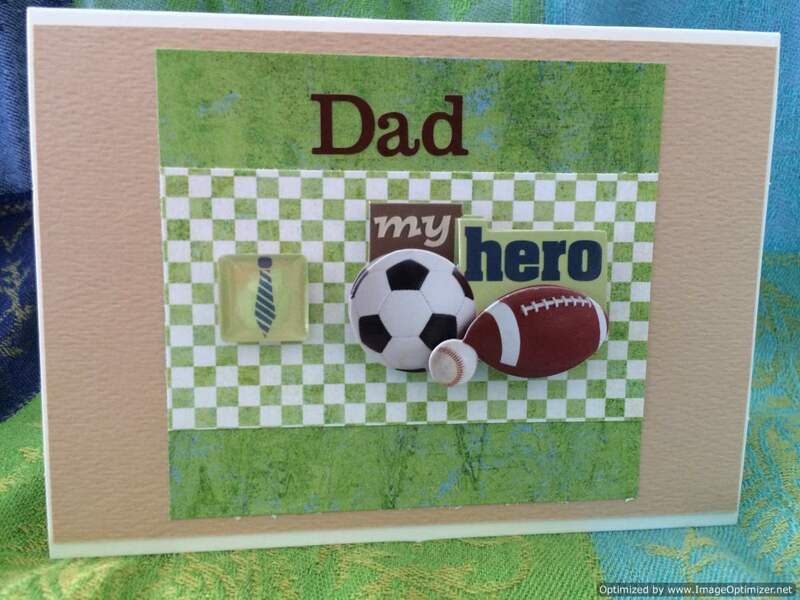 The unique card is corner punched to add a special enhancement. If you want to send a more humorous Christmas card here is a suggested greeting – Have you been good this year, or most of the time, or maybe only once in a while? Well, if that’s the case, buy your own gifts. 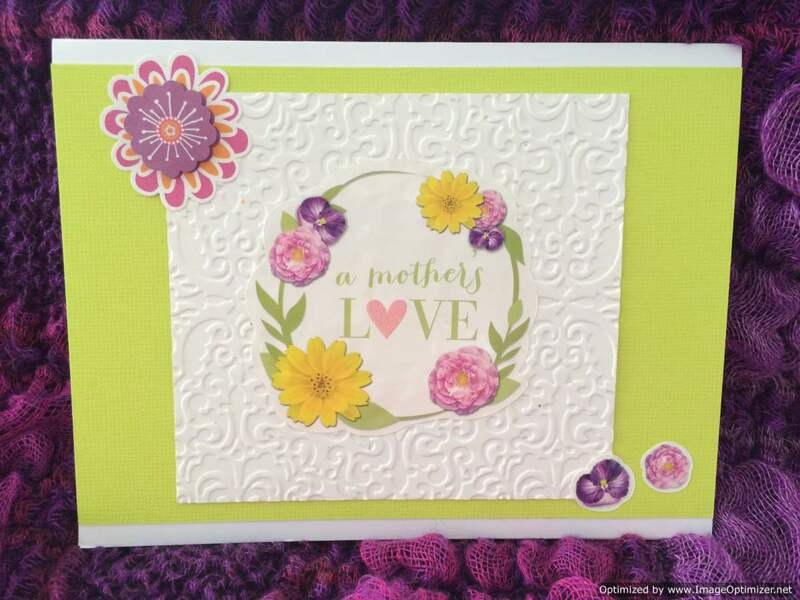 4 colorful backdrops of scrapbook paper adorn this card. 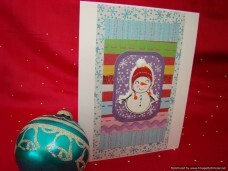 Blue snowflakes, white snowflakes, multi colored, and violet snowflake paper are the background for the adorable foam rubber snowman.